The current first past the post (FPTP) system creates majority governments despite the fact the majority of voters do not vote for the winning party, and it denies seats to political parties that gain significant popular support at the ballot box. In this past federal election, the Conservatives won 54% of the seats in Parliament with the support of less than 40% of voters (only 26% of the registered voters). The 60% majority of Canadians who did not want a Conservative government are left with only the hope that Prime Minister Harper will honour their vote by incorporating some of the Opposition’s ideas into his agenda. 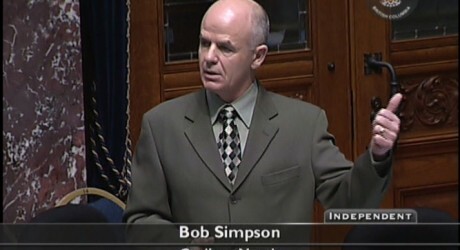 In the 1996 BC election, the NDP won government despite the fact the BC Liberals got the majority of votes, causing the BC Liberals to become advocates for electoral reform. In 2001, the NDP were reduced to 2 seats in the Legislature, despite still obtaining 22% of the vote. With a proportional voting system, the 2001 election would have resulted in the NDP winning 17 seats and the Green Party 9 seats. Enter the Citizens’ Assembly on Electoral Reform – a result, really, of both parties having experienced the distorted outcomes of the FPTP system in back-to-back elections. The Assembly recommended that BC adopt a Single Transferable Vote (STV) system which would allow voters to rank multiple candidates on election day (a preferential ballot), require successful candidates to get over 50% to win a seat, and ensure everyone’s vote counted. The 2005 and 2009 BC Referendums on STV were unsuccessful – however, in 2005 British Columbians clearly signalled they wanted a change in their voting system. Recently, both the BC NDP and the BC Liberals used a preferential ballot during their leadership contests. The Liberals even used a weighting system to balance the rural/urban vote and required their members to select a minimum of two candidates in order for their ballot to be accepted. Bob’s Column also appears weekly in the Quesnel Observer, Williams Lake Tribune and Welcome to Williams Lake. Reprinted with permission.